Ride in style on a chrome bmx frame with a bent springer fork and sit on a genuine leather seat with a 5" leg extension seat post. Best for riders 5' to 5'9" tall. 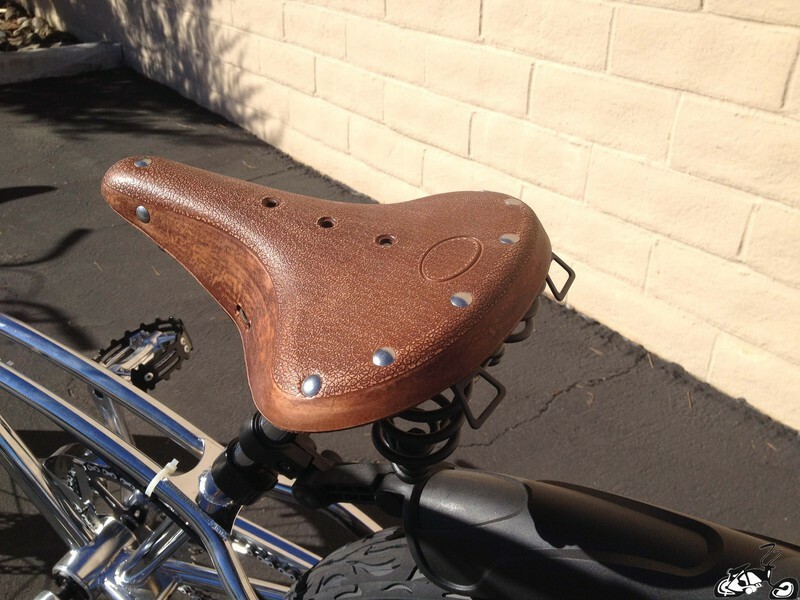 Distance from seat to pedal leg extension is about 27" with a cruiser seat.